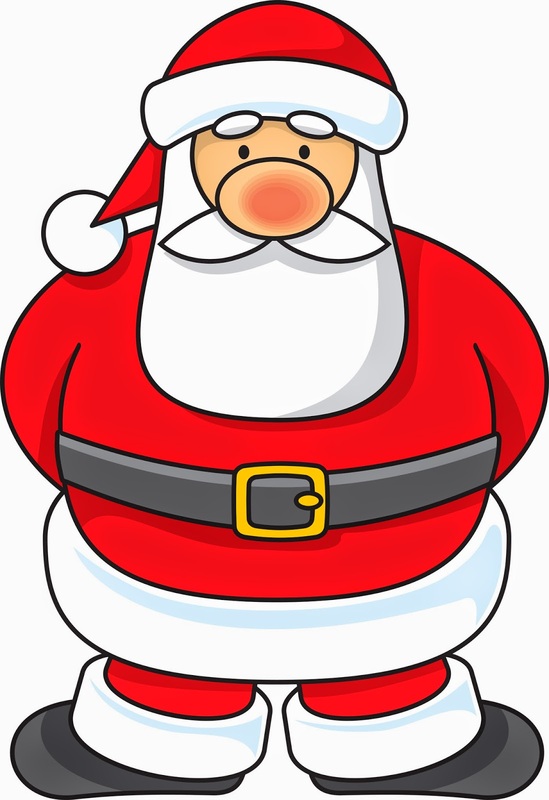 Common Gunsense A blog to advocate for sensible gun legislation: Santa carries guns? "“We’ve got Santa Clause on the roof holding an AR 15,” said Fort Worth Gun owner Dewayne Irwin. Well, that didn’t rhyme, but you heard right. A Fort Worth gun store decided to heat up its holiday display with a gun toting Santa. That gun slinging Santa doesn’t seem to have dampened any Christmas spirit. Irwin says the only thing folks have gotten fired up about is his stance on Christmas. “We’ve got a sign on the door that says, We say Merry Christmas.Let’s put Christ back in Christmas,” Irwin said. And what better way to do that than give Santa a loaded AR-15? So is business booming? Well, on Black Friday the FBI reported it did more than 175,000 background checks for gun ownership, which broke the U.S record. That’s one gun sold every three seconds. So, if Santa is packing heat this year, just remember you better watch out." Festive? Taking care of business? And, as an aside, the gun shop owner has to mention that the sign on the door says we should put "Christ" back in Christmas. Really? The man has a display with an inflatable Santa carrying an AR-15 and he's concerned about putting "Christ" back into Christmas? Give me a break. Right. Does anyone happen to remember what kind of gun was used to kill 20 children and 6 teachers at Sandy Hook Elementary school 2 years ago? Does anyone remember what kind of gun was used by the shooter at the Aurora theater? Anyway, why not think Santa should carry an AR-15. Lots of people are doing it here, here, and here. I don't know about you but a Santa with an AR-15 just doesn't make any common sense. Kids like to believe in a happy, jolly benevolent Santa who brings toys and gifts. He laughs and comes down chimneys and fills stockings "hung by the chimney with care". And then he eats some cookies and drinks some milk, makes a nod and goes back outside through the chimney to deliver more toys. What the heck is Santa afraid of anyway? Is it unsafe out there on Christmas Eve? For that is the image we get when we see a Santa figure with an AR-15. The gun shop owner mentioned that if anyone messed with the reindeer, he hinted that a gun might come in handy. Insanity. Of course, I know this is a marketing ploy. But when you market guns like this, it leaves a definite not so subtle message. This is not just for fun. This is a reminder that having one of these "toys" for Christmas will make your holiday happier and you safer. You may remember this one where a California man dressed up as Santa actually shot up 9 members of his family and himself on Christmas Eve of 2008. And that is not the only incident where someone dressed as Santa shot people. This Texas man dressed as Santa shot 7 members of his family and himself on Christmas day of 2011. And an Arizona gun club offered photos of families holding machine guns and AR-15s. Nice message of "Peace on Earth". The thing is, we have more gun deaths per capita than any other democratized country not at war. We also have more guns per person than any of these countries. Selling guns is a big business in our country. Marketing to kids, women, and fearful Americans is part of the game. If Santa has an AR-15, why shouldn't you? So an inflatable Santa with an AR-15 might be a humorous marketing technique but it is actually not so funny. Using Santa to help sell guns is part of a culture that believes more guns make us safer. They haven't. Please stay safe this holiday season. “You don’t often get to pose with Santa with a gun so I thought it was a great opportunity to have one taken to send to my family and friends,” Daniel Jespersen, 25, of Atlanta, told FoxNews.com. Justin Hosp, 32, of Alpharetta was smiling as he posed for a picture with Santa while holding an AR-15. The photo also included his 12-year-old daughter, Ella. “It was fun, I enjoyed it,” the girl said, while confessing that she did not ask Santa what she wanted for Christmas. The suburban Atlanta gun club furnished the guns. They were all inspected, unloaded and deactivated for safety precautions. No one under 18 was allowed to hold a gun in the photo shoot with Santa. Fun? Whatever. At least the participants were asked to contribute to the local food shelf.